Much like the other hybrids in the Prius family, the main focus of the Prius v is on fuel economy, but as it is the largest of all the options, space definitely does not take a back seat. Whether you need to transport passengers, cargo or a mix of the two, the Prius v provides you with the cubic feet that you need. Exclusively available as a five-door hatchback, space is maximized, and with an easy-access back seat, getting in and out is simple. Even better is the fact that you can save money on fuel without sacrificing space. 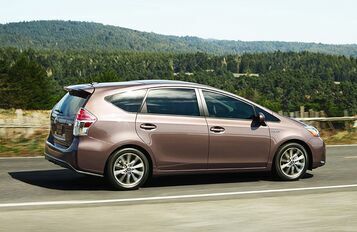 With fuel-economy ratings of 44 mpg in the city and 40 mpg on the highway, the Prius v is incredibly efficient. The base model of the Prius offers up 21.6 cubic feet of space, which simply isn’t enough for those who use their vehicle for transporting cargo on a daily basis. 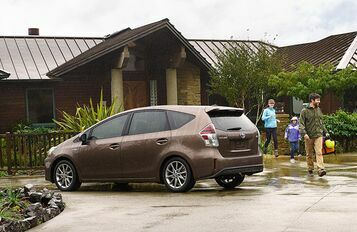 In the Prius v, however, a slightly longer body allows the spacious hatchback to take on as much as 34.3 cubic feet of cargo along for the ride. 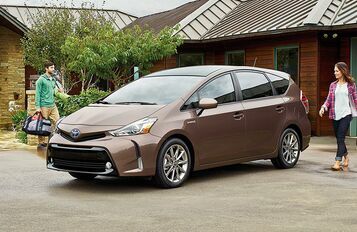 Increased space is one of the biggest benefits of the Prius v hatchback design, but the shape of the body also serves another purpose. The unique, triangular silhouette allows the hybrid to slice through the wind, and as air resistance is kept to a minimum, you are always able to achieve maximum fuel economy ratings. 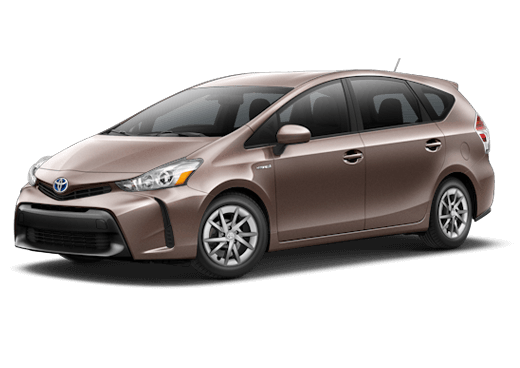 Although the fuel economy ratings of the Prius v are impressive, without any feedback, it can be difficult to determine how close you are to maximum efficiency. That’s why the hybrid offers a range of systems that show you how efficiently you’re driving, and that help you get the most out of your Toyota Prius v.